Drivers Beware! The Parking Meter Conversion Is Complete. 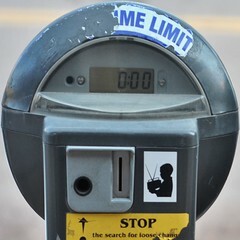 The parking meter conversion is scheduled to reach its completion today and DC residents must now be aware that new enforcement hours and higher rates – including Saturday enforcement and some meters running to 10 pm — are in effect. Not sure if these changes have anything to do with you? WTOP has the low-down on what you need to know. But one thing’s for sure, it’s probably a good idea to start paying attention when parking on the street. You don’t want to go and get a ticket for forgetting to read a sign. More money, less time, but no meters (besides the one’s that give paper tickets) that accept dollar coins. i just used a meter in front of odeon cafe in dupont and the damn thing ate all of my quarters but happily accepted my dimes. so i do plan on calling it in however, to my annoyance, you are supposed to call in with the Meter # but this particular meter # was covered with black electrical tape. conspiracy?